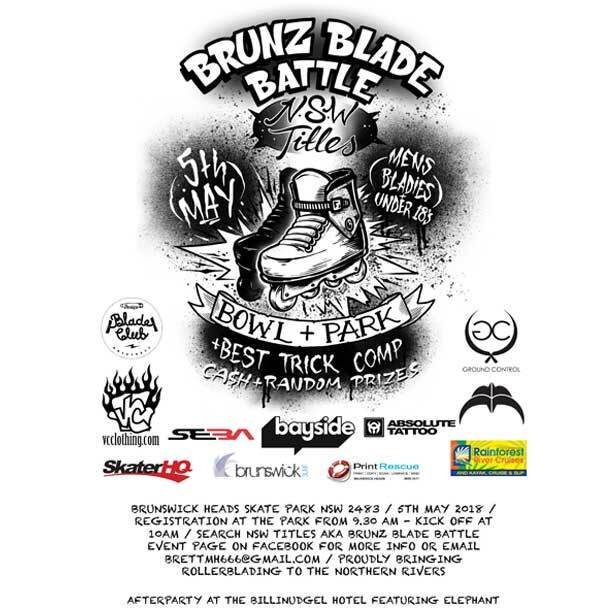 On the 5th of May the Nsw Titles will be held at Brunswick Heads skatepark. This will be the second annual Brunz Blade Battle. The Park competition lots of ledges, rails and hubbas, we will also be adding grind boxes with PVC copping and a custom box jump out of the park! We will have cash, product and random prizes on the day up for grabs! VC Best trick comp with trophy and CASH up for grabs ! !